Thanks to Beech-Nut® Naturals™ for sponsoring this post. Having a baby makes you more aware of the things you never knew were so important, from the quality of clothing going on their delicate skin to the ingredients their little bodies will first be consuming. 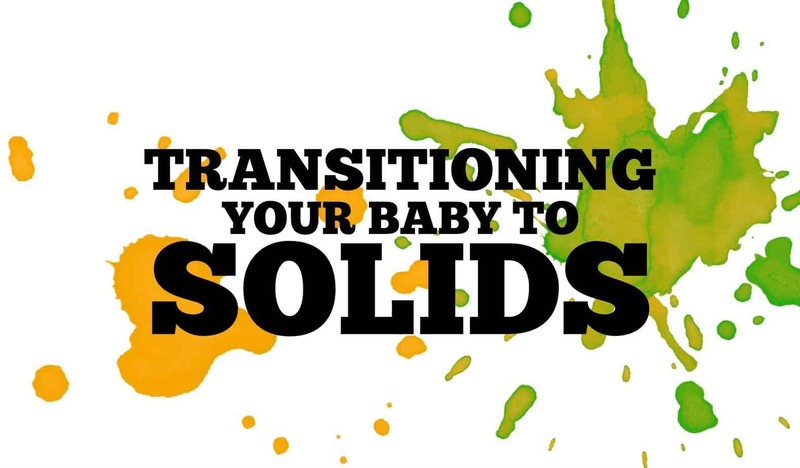 There are a few milestones a baby goes through that are a favorite of mine and their first solids are at the top. It’s a step towards their independence and a step towards finally enjoying a meal together. 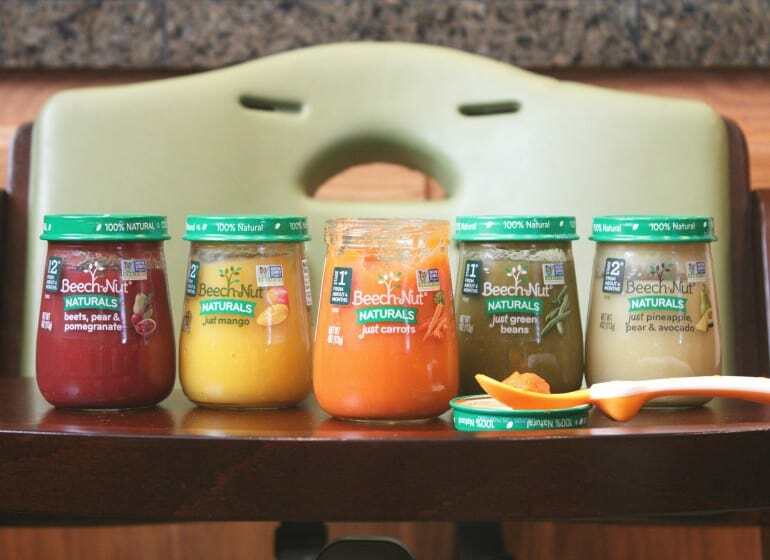 When it comes to baby food I am extremely picky. In fact, there are many out there I refuse to feed my son because of the added ingredients. Beech-Nut has been and will continue to be a brand that I trust and have given now to three children over the last 12 years. They are a small family-owned company who are truly passionate about making real food for babies™. 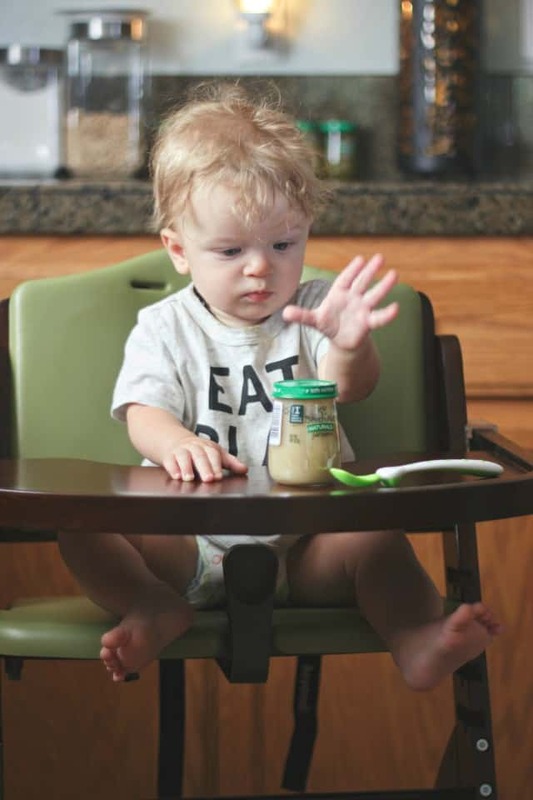 I’ve recently been giving my son the Beech-Nut Naturals line of jar purees and he can’t get enough. They are delicious (yes, I’ve shared a few jars with him). You can actually taste each ingredient as if it came straight from your kitchen. Which means, sorry folks, everyone would win that silly baby shower game where no one knows what flavor of baby food they’re eating. I know you know what I’m talking about. If you can’t recognize the flavors you’re eating, why would you give it to your baby? When creating this line, Beech-Nut actually got input from moms and dads. 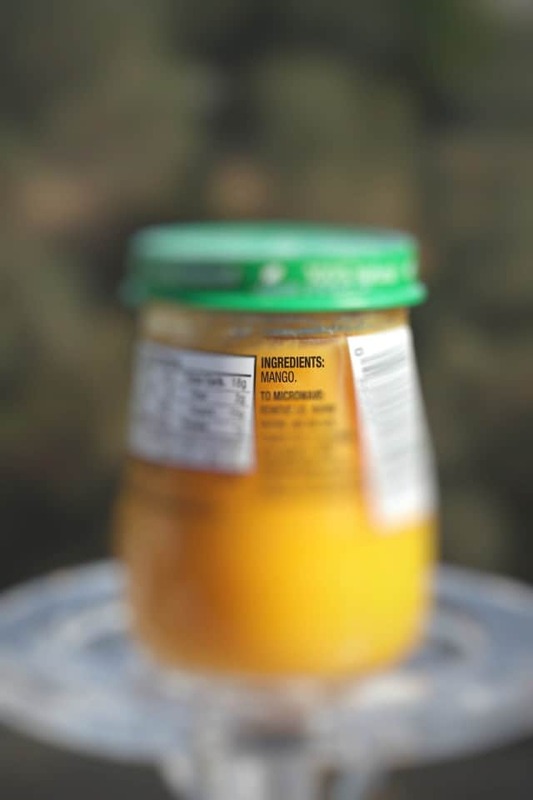 They went into their homes and sat in their kitchens to learn about how they feed their babies, and then created a line of products inspired by homemade. So, it’s something I’ve felt good about serving to my little ones! 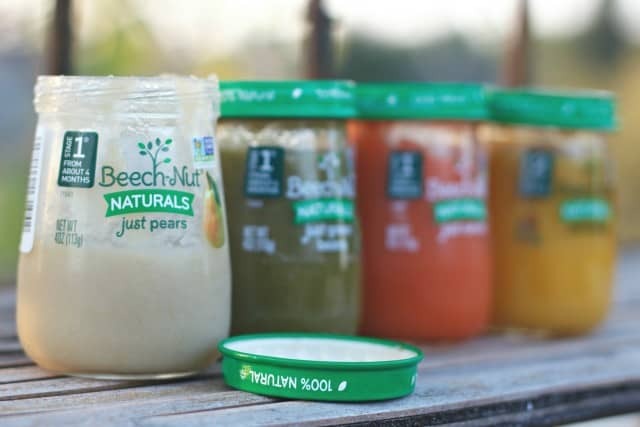 Beech-Nut Naturals is made from real fruits and vegetables. Just look at the ingredients. Nothing artificial, 100% natural. There’s also a line of organic options from Beech-Nut as well. My son’s favorite has to be the Just Pears or Just Green Beans. I can’t scoop it into his mouth fast enough and the best part is, I know I am giving him healthy foods that will help fuel his little body. Beech-Nut Naturals has a huge variety of foods to choose from depending on the stage of your child. From one ingredient purees like Just Carrots, Just Mangos, Just Apples, and Just Green Beans to multi ingredient purees like Just Pear & Blueberry, Just Apple & Kale, Just Spinach, Zucchini & Peas, to more. 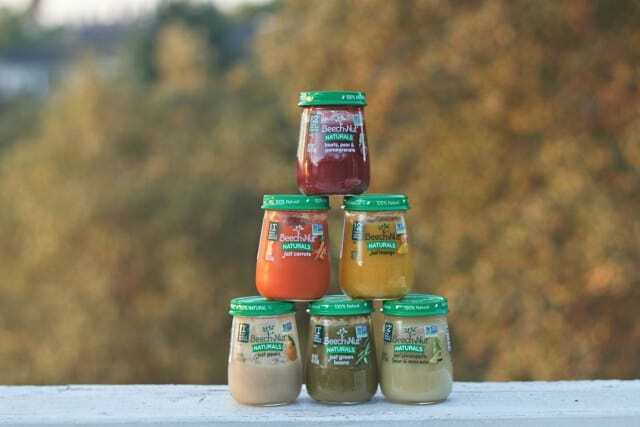 We started our son on the single-ingredient purees when he was 6 months old and then increased to a blend with multi ingredients when he was around 8 months old. It’s been fun watching him explore all these new flavors and textures. Beech-Nut Naturals. real food for babies. Visit www.beechnut.com to learn more.